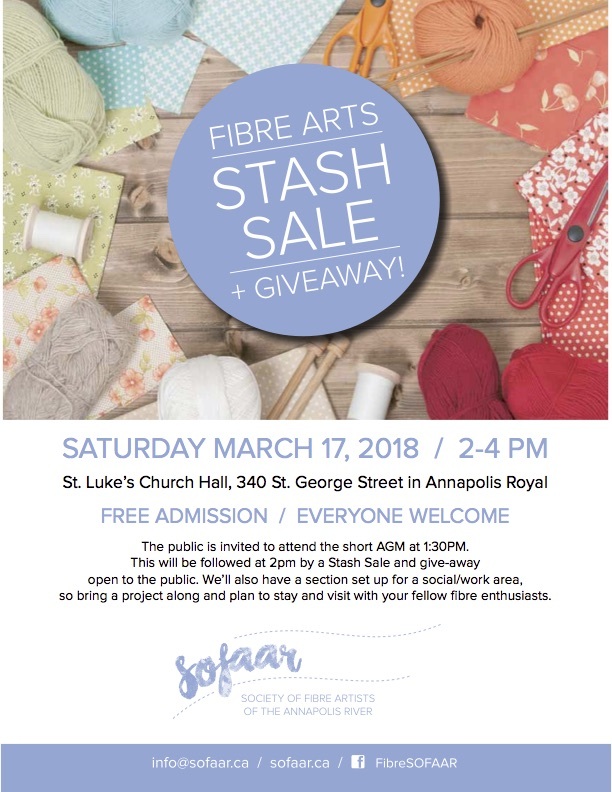 Stash sale and give-away next Saturday! SOFAAR will hold its third annual general meeting at 1:30 pm on Saturday, March 17th. A new board will be elected. This meeting will be followed promptly at 2pm by our super fun stash sale and give-way. Come and pick up some extra stash: fabric, wools, patterns and much more! Stay on to work on your projects with fellow fibre enthusiasts. See you there next Saturday at St-Luke’s Parish Hall in Annapolis Royal.